We provide freshly ground Coriander Powder to clients at extremely affordable prices in packages of different sizes. These Coriander powder is of excellent cooking grade and has a very high nutritional value. 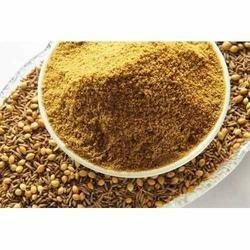 These Coriander Powder are highly appreciated in the market for their rich taste. We are offering a wide range of Coriander Powder in the market. In addition to this, these are offered at very affordable rates. Our company is widely appreciated in offering Dhania Powder to the clients. Our offered Dhania Powder is packed under the most favorable environments using hygienic packaging material to maintain freshness for long time. In order to meet specific needs of our clients, this product is offered at reasonable price. Green Earth Organic Products Pvt. Ltd.
Banking on the skills of our qualified team of professionals, we are involved in providing Dhania Powder. 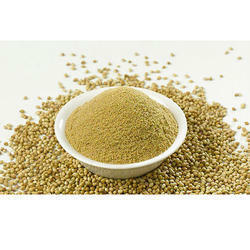 Coriander Powder or Dhania powder is obtained from coriander plant (Corundum sativum). Coriander Powder is finely grounded and is free from adulterants. Usually, coriander seeds are roasted before grounding into the powdered form for a short interval of time to enhance the aroma. We have carved a niche amongst the most dominant names in this domain, engaged in offering Coriander Powder.